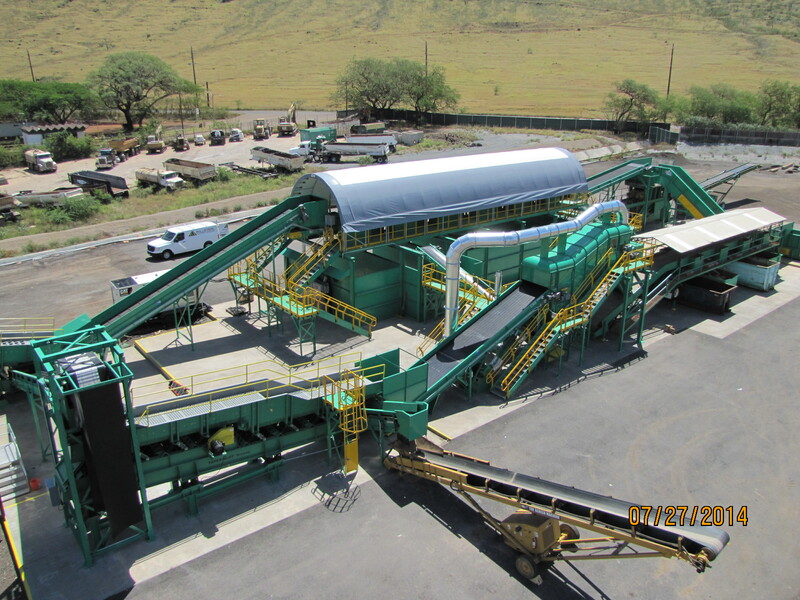 PVT Land Co., a landfill based in Nanakuli, Hawaii, has dedicated a new reclamation and recycling system for demolition debris. The system, designed and installed by San Diego-based CP Group, was introduced to state and city dignitaries and community leaders at a ceremony at the PVT facility on Nov. 19, 2014. Each day, roughly 1,775 tons of debris enters the 135-acre facility. Up to 80 percent is recycled, with more than 50 percent of the debris now being converted into feedstock for future use in renewable energy production. 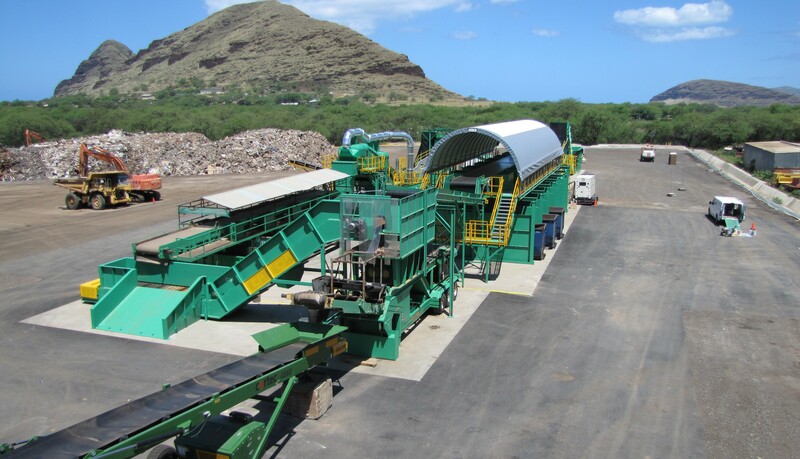 Instead of being buried in the landfill, the debris is being transformed into a renewable fuel that can be burned to create steam to drive turbines in some of Oahu’s power plants or to produce power or used in a manufacturing process that burns the feedstock to produce synthetic natural gas, which would be used to power generators to produce electricity for the Hawaiian Electric Company to distribute through its power grid. 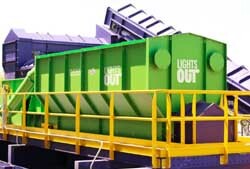 Operating at full capacity, the PVT recycling system can process up to 900 tons of feedstock per day. When converted through gasification, that much feedstock would fuel the production of enough energy to power 12,000 homes. In addition to the debris that is transformed into feedstock, the majority of the remaining 50 percent of materials entering the PVT facility are also recycled, including 42 tons of metals every day. As a result, less than 20 percent of the debris brought to the landfill is actually buried in the landfill, the company says. The PVT Integrated Solid Waste Management Facility—Oahu’s only construction and demolition (C&D) landfill—plays a vital role in Hawaii’s economy as the only location on Oahu where debris from construction projects, storms and other sources can be disposed of safely and securely, says PVT. The facility also plays a critical role in the efficient operation of Oahu’s construction industry. PVT says it is committed to creating a more sustainable Hawaii. 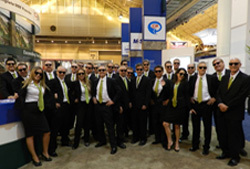 To that end, Shigemura and his management team are supporting architects and contractors that want to become LEED (Leadership in Energy and Environmental Design) certified by the U.S. Green Building Council by salvaging, reusing and recycling debris that they bring to the facility. Industry-best practices extend to all aspects of the facility’s operations and infrastructure, including $3.5 million spent on dust mitigation, a high-capacity storm water management system, rated to withstand a 100-year storm, and a network of paved roads with drainage ports that prevent erosion and manage water run-off.